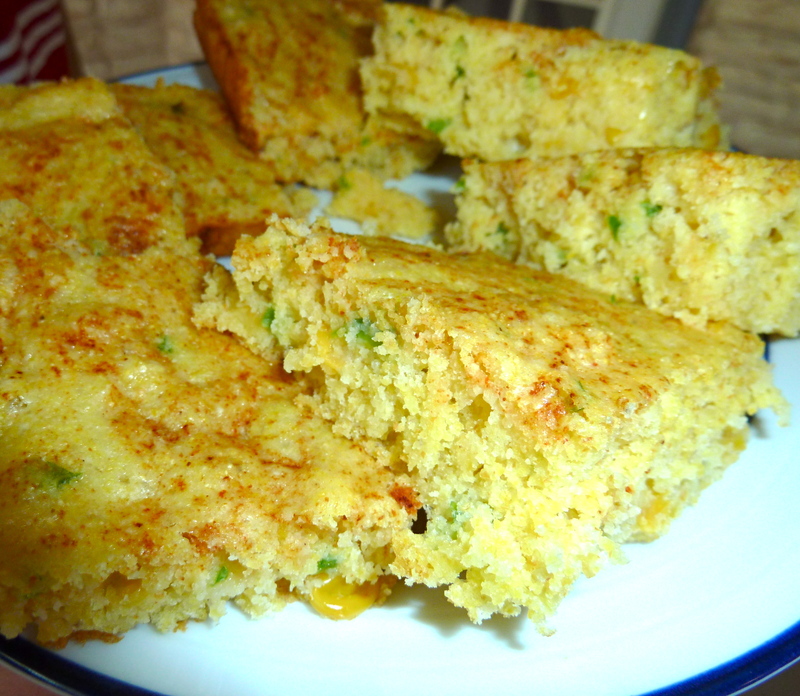 My hubs loves jalapeno cornbread and I don’t always have time to make it from scratch. So here is my version made from a box of Jiffy Corn Muffin Mix. I don’t normally cook from boxes and cans but this is delish, so we have added to the dinner time rotation. This is ready from start to finish in 20 minutes. Preheat oven to 400 degrees. Mix muffin mix, cream corn, diced jalapeno and egg with a wire whisk. Spray 8×12 pan with cooking spray and pour mix in pan. Sprinkle with cayenne pepper to taste and swirl with knife. Bake 15-20 minutes until set. Let cool and serve. Posted in Recipes and tagged 20 minute cornbread, cream cornbread, jalapeno cornbread, jiffy corn muffins, quick cornbread. Bookmark the permalink.